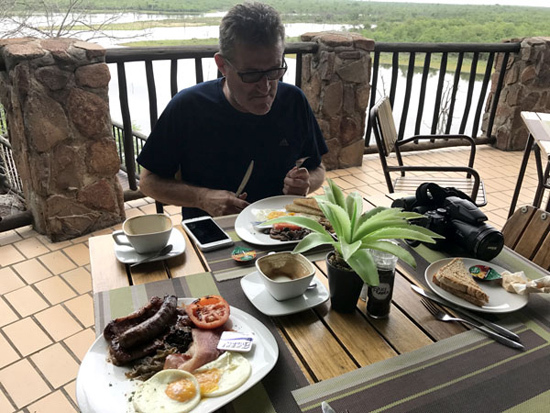 Mopani Rest Camp is located in the northern section of the Kruger National Park, South africa in an area with predominantly Mopani Tree vegetation. 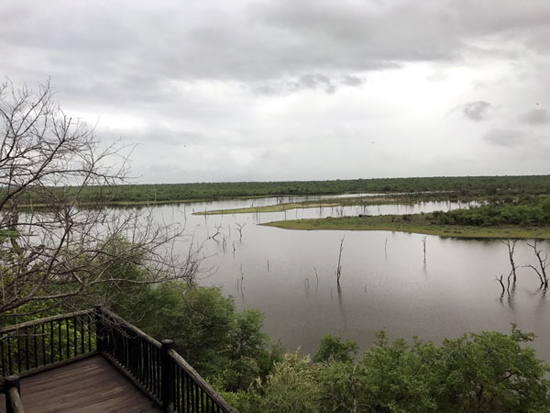 The lodge is built on the edge of the large Pioneer Dam, where you can enjoy a magnificent view of the water from the ladies' bar while listening to the cry of the African Fish Eagle, hippo and other wildlife. Accommodation - Guest house with en-suite bathrooms. 8-bed Xanetsi Guest House with 4 en-suite bedrooms, fully equipped kitchen and a communal lounge. 6-bed Guest Cottage with 3 bedrooms, 2 bathrooms (one en-suite) and fully equipped kitchen. 4-bed Cottage with bedroom, lounge with 2 beds, bathroom and partially equipped kitchen. 3-bed Bungalow, 2 beds and 1 bunk bed, with bathroom and partially equipped kitchen. 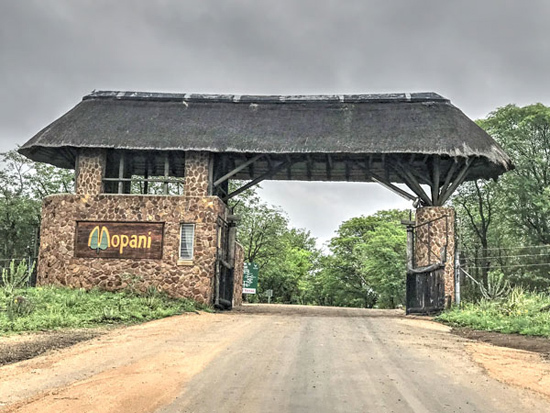 All the buildings at Mopani Camp are built from natural materials such as rough stone, wood and thatching-grass, which blends them in beautifully with the environment. All units at Mopani Camp are serviced daily and supplied with bedding, towels and soap. Mopani Rest Camp has developed a few more extra features that will enhance your African experience. You will now be able to finish your game drive at the boma area and complete the evening by enjoying a meal in the wild prepared by the kitchen staff at Mopani. Wildlife Film Shows, Nature Trail around Camp, Guided night and morning game drives, Pioneer Dam Bird Hide, Swimming. For the keen bird watcher there is a hide that is away from the lodge and offers sleep-over facilities. 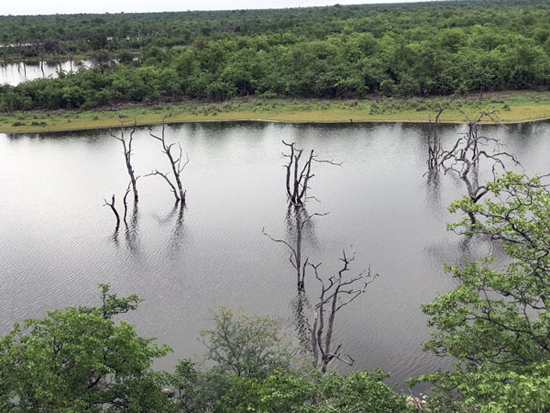 Mopani Camp is in a summer rainfall area with such precipitation usually convectional and this can result in heavy downpours. The summer months (October to April) are hot and can often be humid. Winters are warm and mild, although visitors going on night-drives will require warm clothing. Mopani Camp has a designated day visitor area where day visitors can barbecue (braai) and picnic. There is also picnic facilities with tended skottel braais at Mooiplaas (7 km by road south of the camp). Mopani is the most modern of the Kruger Park's major rest camps. Consequently access of the camp facilities to guests with physical disabilities was catered for during the camp's construction. All the public facilities such as the reception, day visitor picnic area, restaurant, shop, and cafeteria are wheel-chair accessible and each has an accompanying barrier free toilet. In addition the camp has a lookout platform and a ladies bar, both of which overlook the impressive Pioneer Dam in the valley below. Both of these facilities are accessed down ramps. In addition to the public facilities, the camp has 2 four-bedded chalets with barrier free facilities.